The June issue of Jeepers Squeakers is out now! The June issue of our newsletter, Jeepers Squeakers, is out now! Read Jeepers Squeakers June 2016 online. 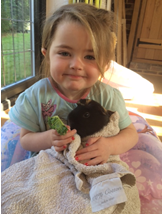 Introducing MatchPig – a sister service to the charity, set up because of the increasing number of enquiries from people asking for help in pairing their lone guinea pigs with a new companion. Ensuring our future – what’s next for April Lodge? We’re dreaming of a new shed!